Research is underway to gather information to inform a visitor strategy for the area and we need your input to make it a success. Tourism in the area provides local people with employment and recreation opportunities and is vital to the Rodney economy, contributing $76m in 2009. The research is being conducted by the New Zealand Tourism Research Institute (NZTRI) based at AUT University, local tourism and business stakeholders and Auckland Tourism, Events and Economic Development Ltd. 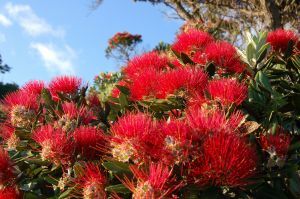 The project team is developing a sustainable five year strategic tourism development plan for the Puhoi to Pakiri region. Business and tourism owner/operators, residents and community members are all invited to a public meeting on Tuesday, 8 February 2011 at 6 pm at Ascension Vineyard. The meeting will present preliminary findings of the survey research to-date. These include a visitor survey; a survey to get the opinions of local community and residents; and a survey of tourism and business operators. The meeting also aims to build stakeholder awareness and industry support for the three surveys. As data collection is ongoing, businesses will be encouraged to draw visitors’ attention to the visitor survey. Professor Simon Milne and members of the NZTRI team will be on hand to answer questions. Following the presentation, there will be an opportunity for informal discussion. For more details, contact Carolyn Deuchar at NZTRI Carolyn.deuchar@aut.ac.nz or phone (09) 921 9999 extension 8892. You can fill up the online survey here.